Hi! Sorry I’ve been MIA this week. Hope your holiday preparations are coming along! We’ve been busy baking, cleaning, shopping, and decorating! How about you? I love this time of year and so far this year, I am not stressed about all I need to do, still! I hope you can take a few moments to relax and enjoy the season! Here’s a card I made for a swap with a great bunch of women I have never met! I love these reindeer and can just imagine what the one in the middle is thinking! What do you think? Hope you like! All supplies are Stampin’ Up! Make 10 beautiful cards fast using this unique One Sheet Wonder template. A One Sheet Wonder is a technique for using a single stamped sheet of cardstock cut into multiple pieces to create a quick-to-make set of cards, 3-D projects or scrapbook pages. This set features rich colors that span the seasons making it a perfect set to use year round or give as a gift for any occasion. Instructions will be emailed when kit is available. PURCHASE ADDITIONAL MEDALLION MEGA CARD KITS FOR $12.95 EACH! This offer only available through Teresa Howe. Email: tmhowe@charter.net or call (508) 769-3109 to place your order. Offer valid through December 22, 2009. Kits will be available in early January. 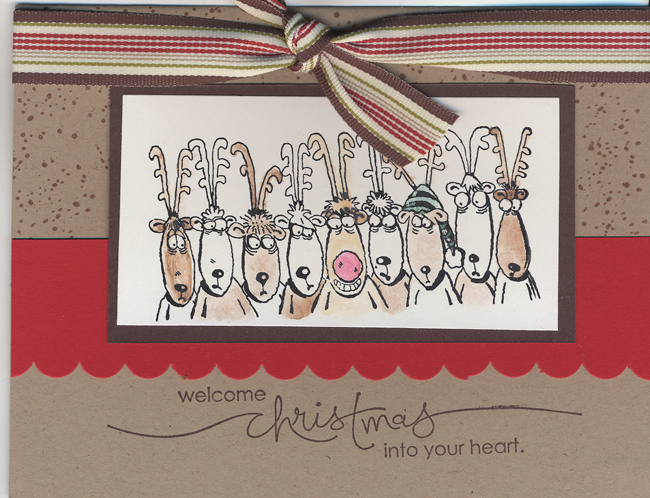 Author TeresaPosted on December 10, 2009 Categories UncategorizedTags Card Kits, KitsLeave a comment on Medallion Mania Kit-To-Go! I created this card for our September Technique Club meeting. The card is folded in such a way that when you open it, there is a gift card in the middle that pops out. Are you interested in learning techniques like this? Then contact me to sign up for Technique Club! 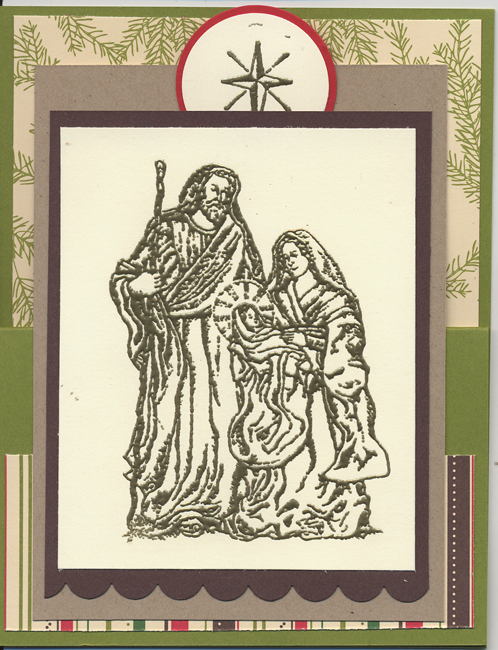 I make my mom religious Christmas cards and this is the set she chose for this year. I embossed the main image and the star with Gold Glory EP. 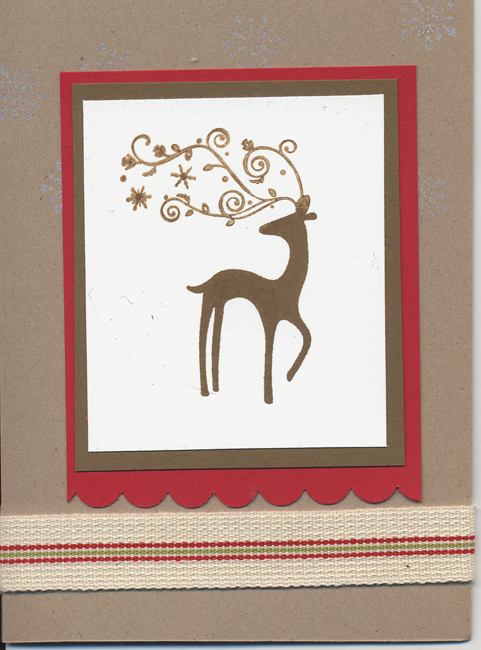 I thought the Pine Branches from the Merry Moments Designer Series Paper pack was a great background for this image.